Between the years 1707 and 1857, the cultural center of Delhi in North India was the locus of a dramatic shift of power with the decline of the Mughal Empire and the rise of the British Raj. This critical transitional period altered Indian culture, politics, and art, and brought unprecedented artistic innovation and experimentation. The artistic flowering of this time is evident in jewel-like portraits, miniature paintings, striking panoramas, and exquisite decorative arts crafted for Mughal emperors and European residents alike. 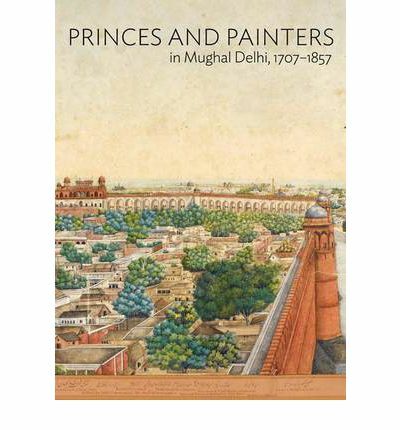 Sumptuous color illustrations of such works illuminate the pages of this book, painting a vivid portrait of this important city and its art, artists, and patrons. Masterworks by major Mughal artists, such as Nidha Mal and Ghulam Ali Khan, and works by non-Mughal artists demonstrate the dynamic interplay of artistic production at this time. This largely overlooked period is explored in thought-provoking essays by a panel of distinguished scholars of Indian art, history, and literature to present an engaging look at this dynamic artistic culture in the midst of rapid change.